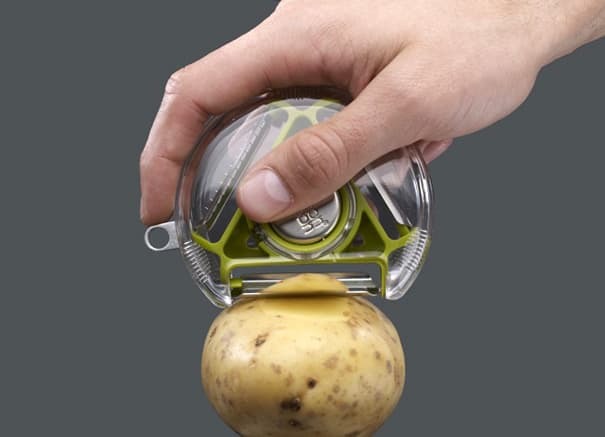 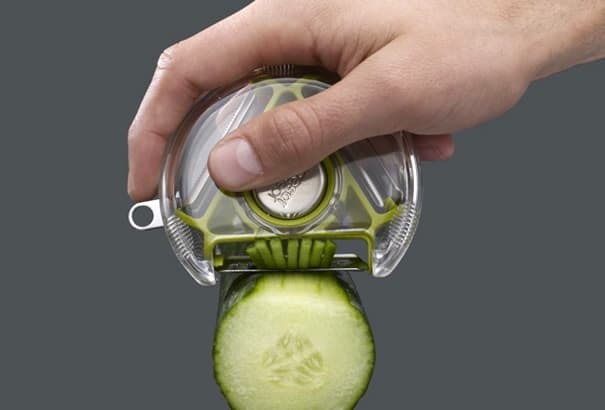 Rotary Peeler was designed by Damian Evans for Joseph Joseph. 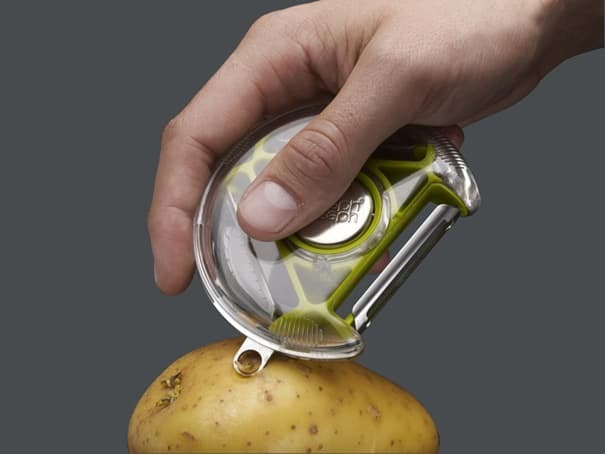 It has three different blade options for peeling (one for potatoes, a serrated one for soft fruits and veggies and a third to cut uber-smooth juliennes), and a potato-eye weeder. 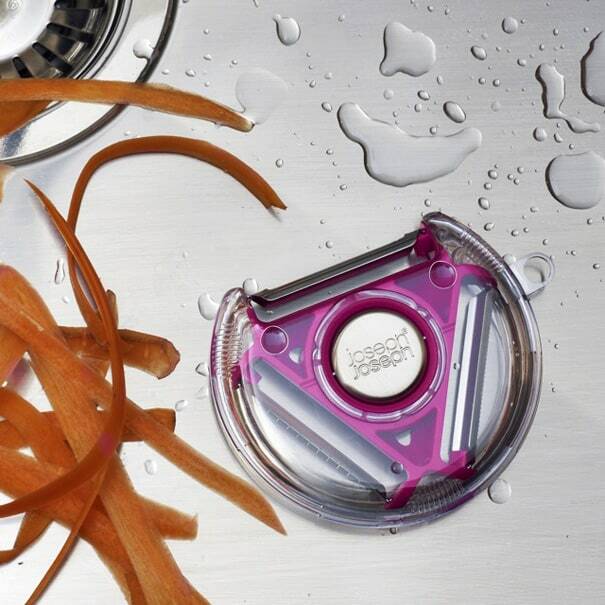 You can clean it up nice and easily due the whole peeler may be immediately disassembled. 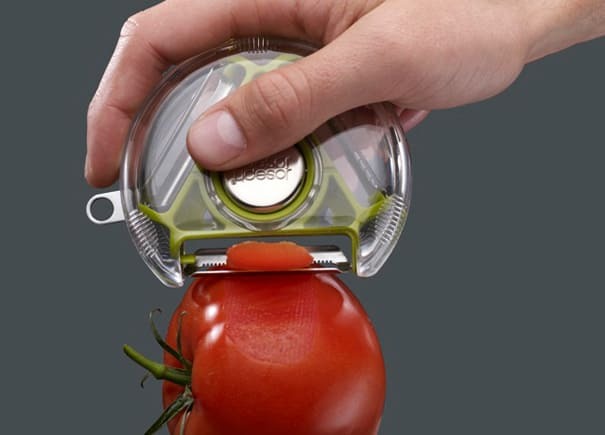 Maybe the many options of peeling and cutting food will spark some creative cooking!